The administration is concerned about China using Israeli firms to discover U.S. secrets and about Beijing passing on Israeli technological specifics to its ally, Iran, an enemy of Israel. Israeli Prime Minister Benjamin Netanyahu (left) and U.S. President Donald Trump meet at the White House in February. Credit: Avi Ohayon/GPO. 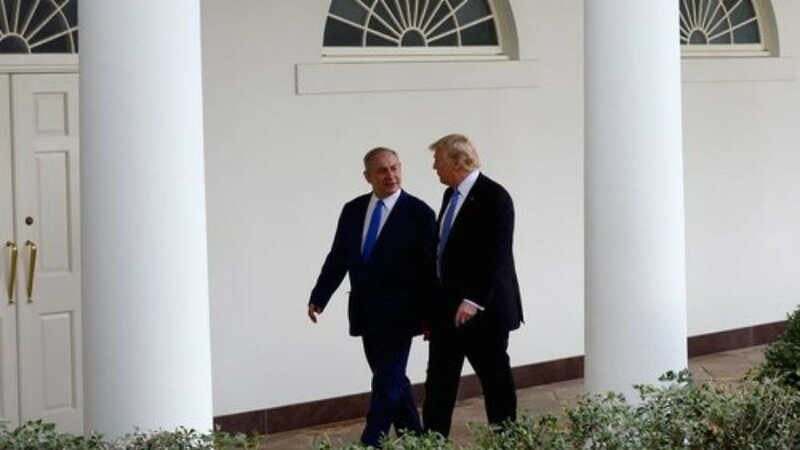 (April 15, 2019 / JNS) U.S. President Donald Trump reportedly told Israeli Prime Minister Benjamin Netanyahu during the latter’s visit at the White House last month that Israel could jeopardize its security cooperation with the United States if it doesn’t reduce its ties with China. Channel 13 and Axios reported the development, citing Israeli officials. The Trump administration has repeatedly warned Israel about forging close ties with the Chinese, including criticizing an agreement between the Jewish state and China to allow the latter to manage the Haifa port. The U.S. concerns over the Haifa port deal have come from National Security Advisor John Bolton and U.S. Deputy Secretary of Energy Dan Brouillette. During a state trip to Israel in January, Brouillette expressed alarm regarding “certain Chinese foreign investment in Israel,” an Energy spokesperson told Israeli business news outlet Calcalist on Wednesday. “We are all concerned about theft of intellectual property and Chinese telecoms companies that are being used by China for intelligence gathering purposes,” a senior Trump administration official told The Wall Street Journal.